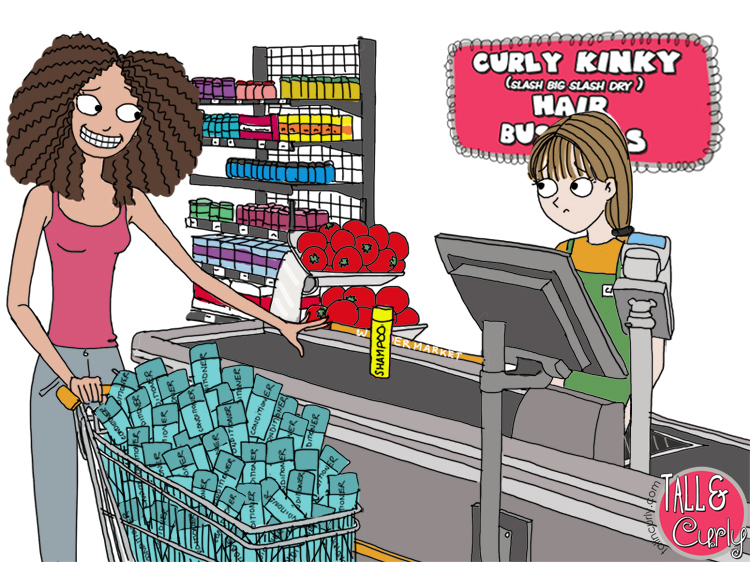 LOL LOL LOL, love the cashier’s look, hehehehe. People always are shocked when I tell them that I hardly use shampoo. It is so odd to that that there is hair in the world that does not get shampooed everyday. That made me laugh. It has perplexed me my whole life why they sell a small bottle of conditioner to a huge bottle of shampoo or at least they did when I was a kid. I KNOW ! We should start a petition about this !